Linda Sarsour, executive director of the Arab American Association. More sexual harassment and sexual assault scandals continue to emerge, as the epidemic shows no signs of letting up. The Associated Press ranked the scandals as the top story of 2017 in their annual survey of U.S. editors and news directors. 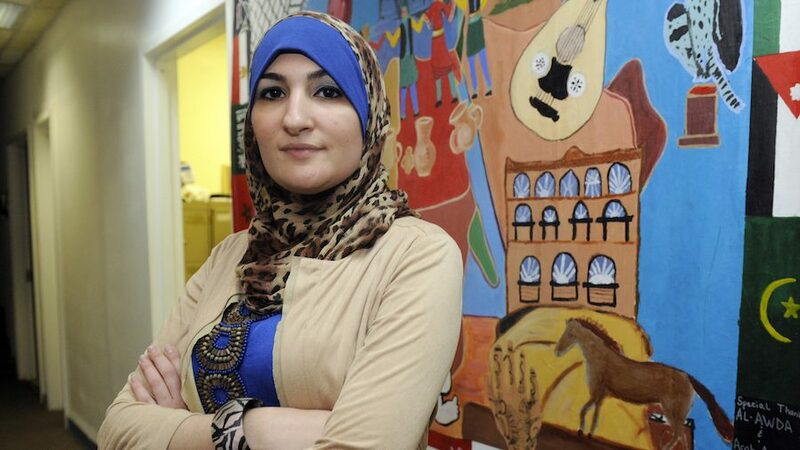 The organizer behind the Women’s March on D.C., Linda Sarsour, was accused of enabling the sexual harassment and groping of a woman who worked under her. Asmi Fathelbab was an employee at the Arab American Association while Sarsour was director. She said Sarsour ignored her complaints. Fathelbab said a man who lived in the building, Majed Seif stalked her and groped her. He did this while she was working with small children in the youth program. She told the Daily Caller that Sarsour dismissed her complaints against Seif because he was a “good Muslim” who was “always at the Mosque.” When Fathelbab complained to the president of the board of directors, Ahmed Jaber, he said the same thing. The Pennsylvania legislature was rocked with a sexual harassment scandal last week, as news emerged that the state paid a quarter of a million dollars to settle a sexual harassment claim by an aide to a state legislator. Democratic Rep. Tom Caltagirone denies the wrongdoing. He refuses to step down. Democratic House Minority Leader Frank Dermody admits there is another sexual harassment claim involving one of his caucus members that also resulted in a settlement payout. The fallout from earlier incidents has not let up. Sen. Al Franken (R-Minn.) said he intends to resign after several women came forward and accused him of sexual misbehavior. But prominent Democrats are urging him to change his mind. Instead, they want the Senate Ethics Committee to handle it. That committee has not looked into claims of sexual misconduct against a sitting senator in over 25 years. Meanwhile, Franken has continued making provocative speeches. In what was considered his “final” final speech, he bashed the GOP and President Trump. On Wednesday, a spokesman said Franken would leave Congress on January 2. The Media Research Center is calling on NBC News to hire an outside investigator to review the news organization’s culture of sexual misconduct. Numerous people at the network have been fired or suspended after sexual harassment incidents became public, including “Today” star Matt Lauer and “Morning Joe” regular Mark Halperin. MSNBC negotiated a large settlement with a producer over harassment by left-wing pundit Chris Matthews. Even though the complaints have been going on for several months, this still may just be the tip of the iceberg. Sources say 30 to 40 members of Congress have scandals that are about to come to light. Always at the Mosque? What does that have to do with anything? Criminals just need to hang out at a Mosque and they’ll be okay in Sarsour’s book. She is a genuine lowlife wretch. This woman is the “Muslim/Female” Al Sharpton…. So Fathelbab hasn’t be able to find a job in 10 years? I know what it feels like to be blacklisted, but has she tried working for non-Islamics? Sometimes if you leave your “comfort zone” you can find ppl who really appreciate you.